Traditional static weights limit movement patterns and force exercise into a confining mould that doesn’t mimic reality. The SoftBell is here to break that mould. 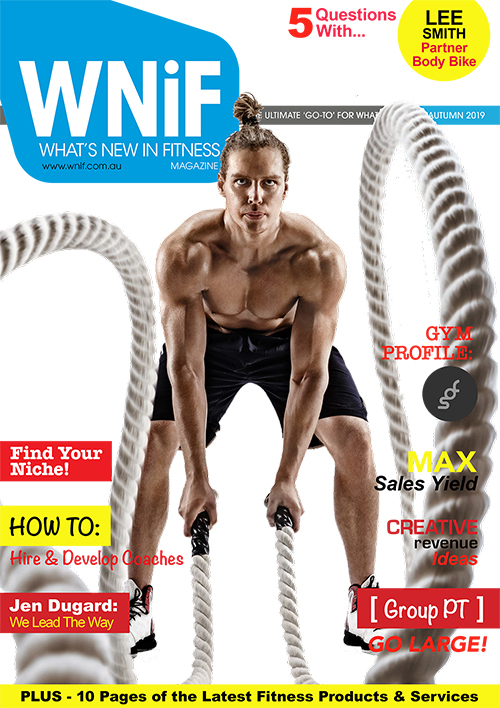 Hyperwear, a leader in quality, safe, effective and easy to use functional fitness equipment has challenged convention once again, this time bringing their dynamic fitness philosophy and unique brand of innovation to the world’s most popular piece of equipment: the dumbbell. 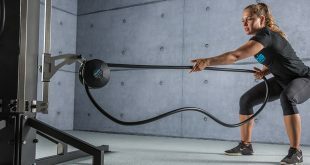 Hyperwear has transformed the static dumbbell into a dynamic 3-in-1 strength training system that challenges fitness convention. 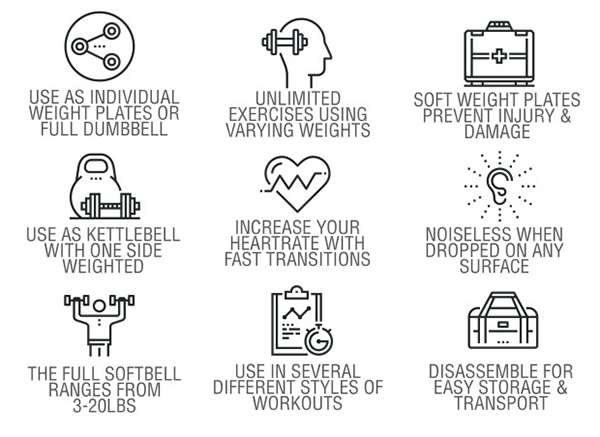 This revolutionary product is here to provide what the traditional dumbbell has failed to deliver for decades: a truly functional, movement-based workout that inspires athletic training for accelerated results. 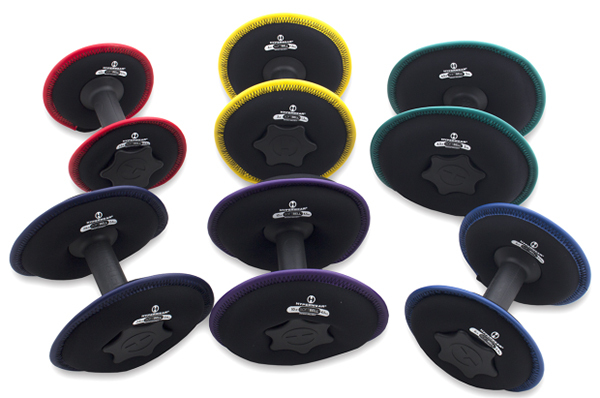 The SoftBell™ is an adjustable, easy-grip reinforced plastic handle with 2 soft neoprene weight plates that can be used individually or attached to the handle to make a dumbbell from 3-20lbs. Take your workout from the gym to your office, home or outdoors with this versatile free weight system that is safer, quieter and more functional than any dumbbell on the market. Two neoprene plates attach to a reinforced plastic handle to create a weight from 3-20 lbs. 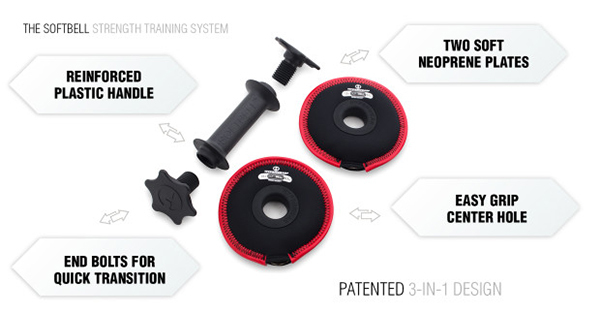 Neoprene plates prevent injury to you and your floors, and the disassembled weights are easy to transport. 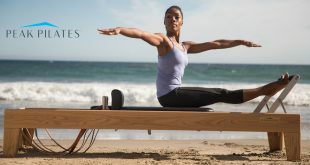 Innovative 3-in-1 design allows for unlimited exercise variety at home or in the gym. 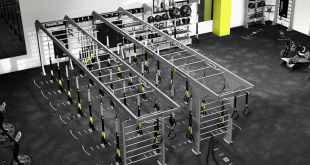 The last several years have seen exercise evolve from bulky, confining weight machines to more flexible free weights, and Hyperwear is spearheading the next evolution of training with the 3-in-1 SoftBell strength training system. The Softbell comes in 6 weight levels (3ibs, 6lbs, 9lbs, 12lbs, 15lbs & 20lbs) with detachable soft plates. 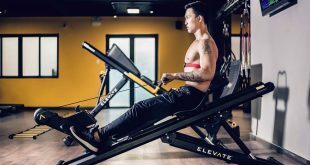 Traditional fitness equipment limits speed, range of motion and exercise variety, forcing you to adapt to its constraints. Hyperwear products are designed to remove these limits so you can move more dynamically and accelerate your progress. 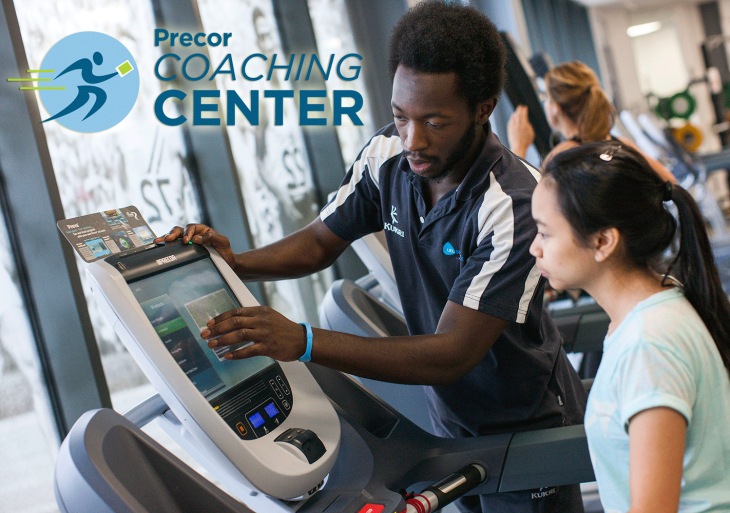 We know that athletic training requires you to push past boundaries, and with your help we can continue to innovate & provide the gear to get you there. 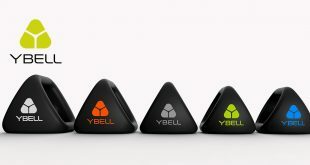 Visit www.hyperwear.com for the latest updates on the availability of this brand new piece of equipment.